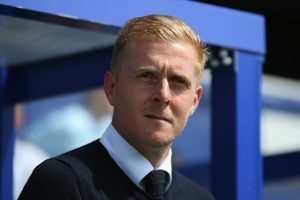 Leeds United are chasing a Premier League promotion after years of turmoil, and the influence of Marcelo Bielsa has been immense despite lack of business and persistent injury problems. But the veteran Argentine must consider significant reinforcement to increase the depth once the season reaches its conclusion and act sharply to fend off interest from other admirers. The Whites have previously been linked to a move for Barnsley centre-back Liam Lindsay, dubbed as ‘the new Alan Hansen’ for his emergence through the youth ranks of Partick Thistle. The 23-year-old moved to South Yorkshire from Maryhill for a fee of £350,000 and earned reliability in the heart of the Tykes backline. Although they went down to League One the previous term, an immediate return to the second tier is on the cards and Lindsay has improved his game significantly over the past couple of years. Leeds have monitored his growth closely. However, the increasing interest in the Scotsman must be alarming for the West Yorkshire giants. According to The Mirror (as cited by the Daily Star), Aston Villa are set to rival the Whites for Lindsay’s signature as the Claret and Blue boss Dean Smith is desperate to strengthen the backline to accelerate a Premier League return. The youngster is now valued at around £5m and has also been targeted by Brighton & Hove Albion and Celtic as claimed by the report. A lack of defensive depth made things difficult for Bielsa midway through the campaign as he was forced to deploy Kalvin Phillips in a makeshift centre-back role. The Argentine fielded youngster Aapo Halme on a few occasions as well when the likes of Liam Cooper, Pontus Jansson and Gaetano Berardi were facing spells on sidelines. Lindsay is known for his aerial supremacy, physicality inside the box, great sense of positioning as well as impressive intercepting skills. His no-nonsense defending is something the Whites need urgently having conceded some silly goals already while trying to play risky passes at the back. Although not a ball playing centre-back, the youngster loves to play long balls high up the pitch which would allow the Whites to add more variation to their game. They have been predictable at times while building the game up from defence, and the opponents often managed to read their gameplan before executing a counter-strategy. Leeds United, therefore, must not cool their interest and instead reignite the chase and rope in Lindsay ahead of fellow suitors who are circling like vultures to strike a deal at the earliest. Sunderland Eyeing A Move For This Aston Villa Defensive Ace: Can Grayson Land Him? Can Aston Villa Revive The Career Of This Loan Signing From West Ham United?